HCG - Healthcare Global Enterprises Ltd., is a healthcare organization headquartered in Bangalore with a combined pool of 500 specialists across various domains. Mainly focusing and specializing in infertility, tertiary care, cancer care and advanced diagnosis. HCG Hospitals, the tertiary healthcare entity, provides tertiary care treatment options for cardiac, bone and joint, brain and spine, neuro and nephro and digestive care. 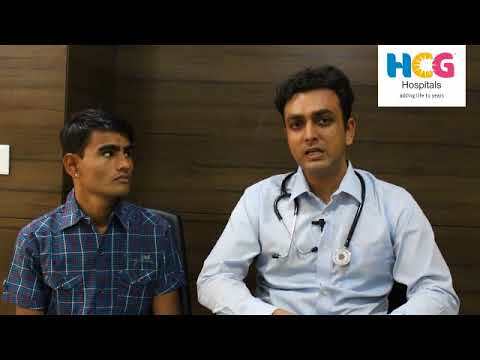 Located across the state of Gujarat in Ahmedabad and Bhavnagar, HCG hospitals provide solutions to patients across the globe who seek advanced treatment options. Organ donation is a noble act, which gives an opportunity to save lives after death. An organ is a part of the body that performs a specific function like Heart, Lungs, Kidney, Liver, Pancreas, Intestine, etc. A healthy diet is the cornerstone of good health and such dietary practices help in improving general health. We have dedicated endoscopy suite & all modern equipment for therapeutic & diagnostic endoscopy. Day-Care center cater to the patients undergoing surgeries and procedures that do not require overnight stay in the hospital.